How does slow looking effect the way art is perceived? 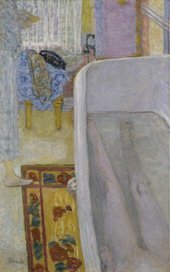 Join Rebecca Chamberlain for a slow looking tour of The C C Land Exhibition: Pierre Bonnard exploring neuroscience and psychology. Artists challenge our sensory system with powerful effect. 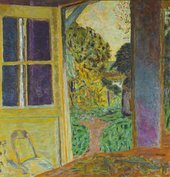 This tour invites you to consider how Bonnard plays with our experience of light and space. Explored through psychological theories, this tour examines how our mind constructs our experience of the word. What is the potential psychological impact of slowing down when looking at art? Rebecca Chamberlain is Lecturer in Psychology at Goldsmiths, University of London. She focuses on the psychology and neuroscience of the production and perception of visual art.